Tom Holland has dropped yet another Marvel spoiler. 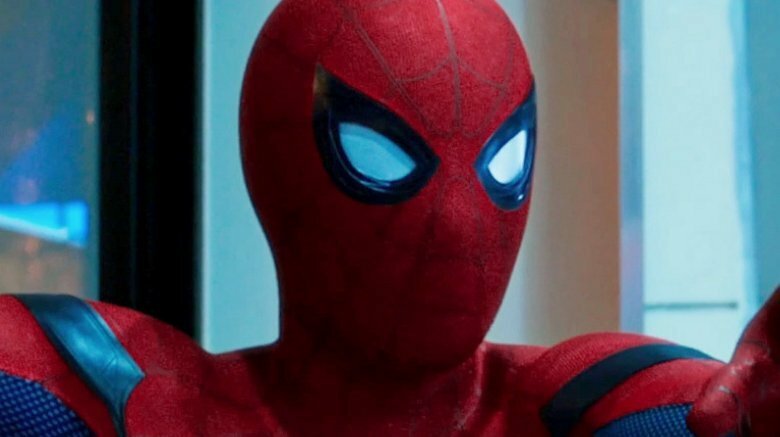 In an Instagram video from Ace Seattle Comic-Con, the star revealed that the sequel to his 2017 hit Spider-Man: Homecoming will be called Spider-Man: Far From Home. Holland recorded a video of himself at the Con, saying he's "having a great time meeting everyone." "I wanted to apologize because there's no real revelations coming out this weekend about Spider-Man 2," he continued. "I don't know much about it. I'm a little confused because I died, so I really don't know how it all comes into play, but what I do know is I got the new script, I'm super excited to read it, and it's gonna be great, so yeah. Spider-Man 2, let's do this." Although Holland's video certainly made it seem like no new information was coming out, the actor was clearly being tongue-in-cheek, as he held up a copy of an iPad when he mentioned the script that included the new title page, revealing the sequel's title and a working logo. Holland also referenced the elephant in the room: the fact that his character apparently died at the end of Avengers: Infinity War. However, it seems safe to say that he'll somehow be back for his own sequel. The new title is fitting, as MCU head Kevin Feige previously revealed in an interview that the film will feature Spider-Man going to all parts of the globe. "The way Civil War and the fact that he went to Leipzig Airport and then has to go back to school, informed Homecoming, the two Avengers films that precede [the sequel] will greatly inform, probably even more so, the next movie," he hinted. We don't know much else about the sequel, but we do know that Jake Gyllenhaal is set to join the cast as the villain Mysterio. In the comics, Mysterio is the alias of Hollywood special effects expert Quentin Beck, who uses his technical know-how to craft tricky illusions. That won't be the only villain Spidey faces, though — Michael Keaton's Vulture is also set to return. It's unlikely, though, that Peter's mentor Iron Man will appear, so he could be left facing them on his own. Homecoming's Chris McKenna and Erik Sommers wrote the script for Spider-Man: Far From Home, which will be directed by the first film's Jon Watts. The movie has a July 5, 2019 release date, making it the first Marvel movie to hit theaters after the highly-anticipated Avengers 4.